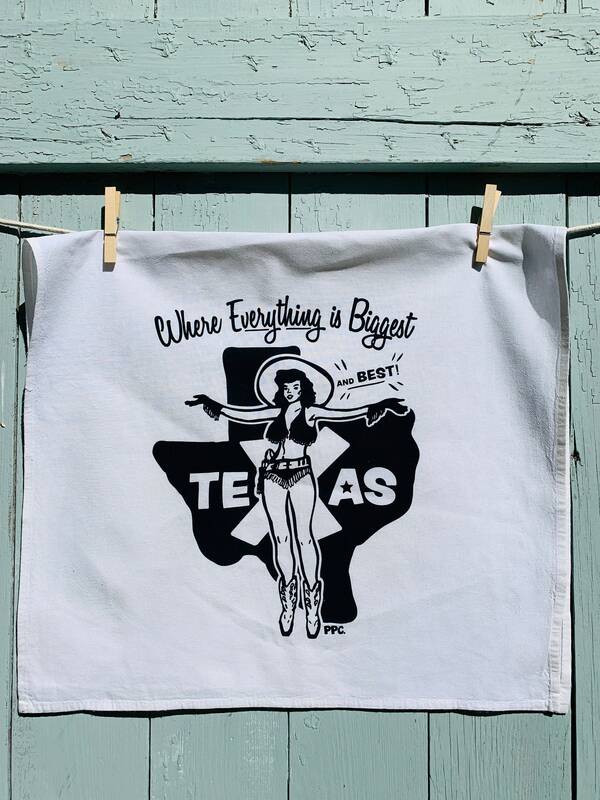 This tea towel is inspired by the Miss America series decals popular in the 1950s. 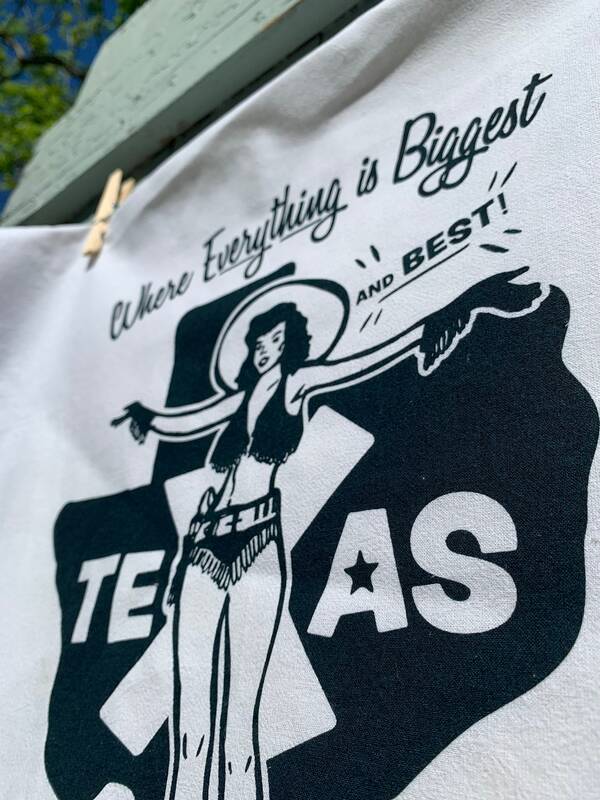 Where Everything's Best was a popular saying for Texas. 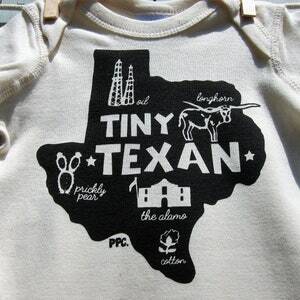 This also pays tribute to the more modern adage that everything is bigger in Texas. 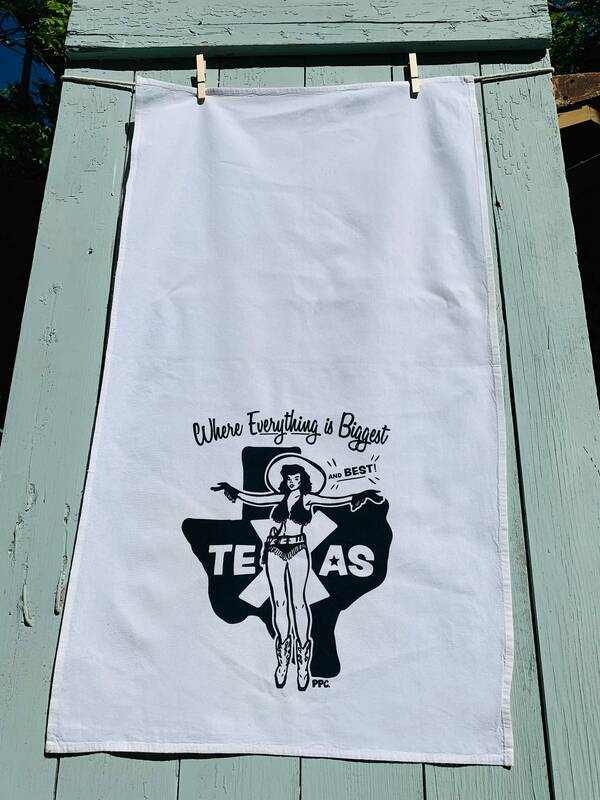 This is non-toxic water based navy ink on 100% white cotton tea towel measuring approximately 17" x 38". 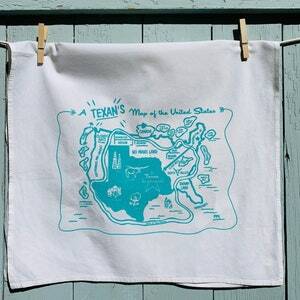 These are high quality - hemmed on four edges, super soft, bright white, and they wash well. Hot or cold water is fine and they can be bleached, although cold water and color safe bleach are recommended. 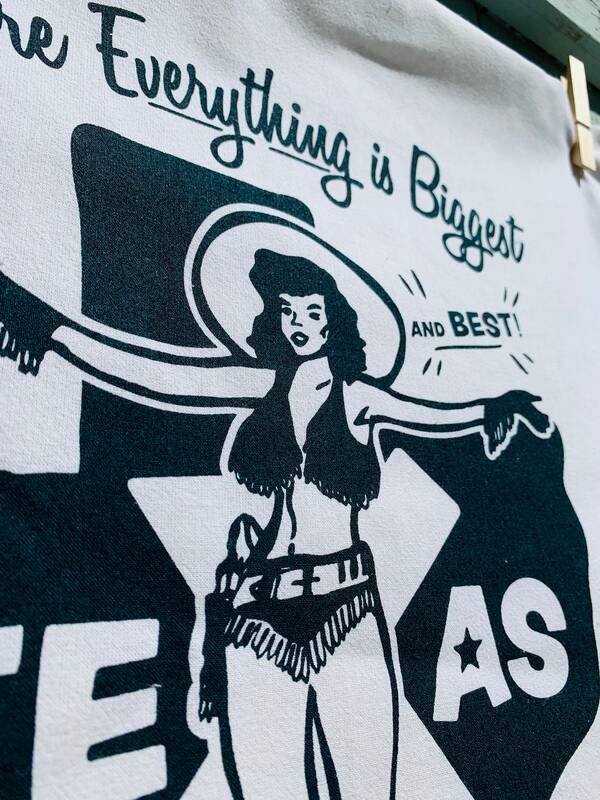 It is the perfect vacation souvenir or housewarming gift for the classy Texan cowgirl. Paintbrush Print Company accepts Paypal, Etsy Gift Cards and major credit cards via Direct Checkout. 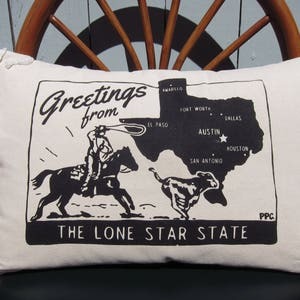 Wyoming and Texas shoppers are subject to state sales tax at the local rate. 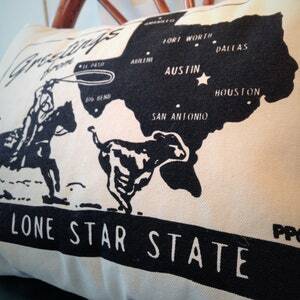 All items use Etsy's automatically calculated shipping costs. If purchasing multiple items, I will attempt to ship items as efficiently as possible and will offer shipping refunds if I am able to ship for less than the quoted amount. Paintbrush Print Company wants you to be satisfied with your purchase! If you are not happy with an item, please contact me directly prior to leaving feedback and I will do my best to resolve the situation. Returns and exchanges are available within 5 days of receipt of your item. All items must be return unworn/unwashed. Wholesale inquiries welcome! PPC also offers discounts for larger (non wholesale orders). Contact PPC directly for prices and policies.